I’m back! Did you miss me? I’m sad to say that all I brought back with me is a dodgy (barely there) tan and the driest hair known to man. I did however have an amazing time so you can all brace yourselves and be prepared for an onslaught of posts about what I wore what I ate and where I went! So seen as I’ve only just had a minute to sit down, slash lay in bed watching netflix, I thought I’d ease myself back in with a nice little shopping post. Apparently no one told the English weather that it’s actually August so we may as well embrace it and use it as an excuse to get a new wardrobe! Call me sad but to be honest I’m so over summer clothes and am actually looking forward to layering up and picking the perfect pair of winter boots. What better way to indulge myself than to pick out my favourite winter pieces? A good pair of pointed flats because when you have size 8 feet it’s near impossible to not rock the clown chic look with points. Chloe Dupe I know, I still haven’t got it.. this month I will have one! 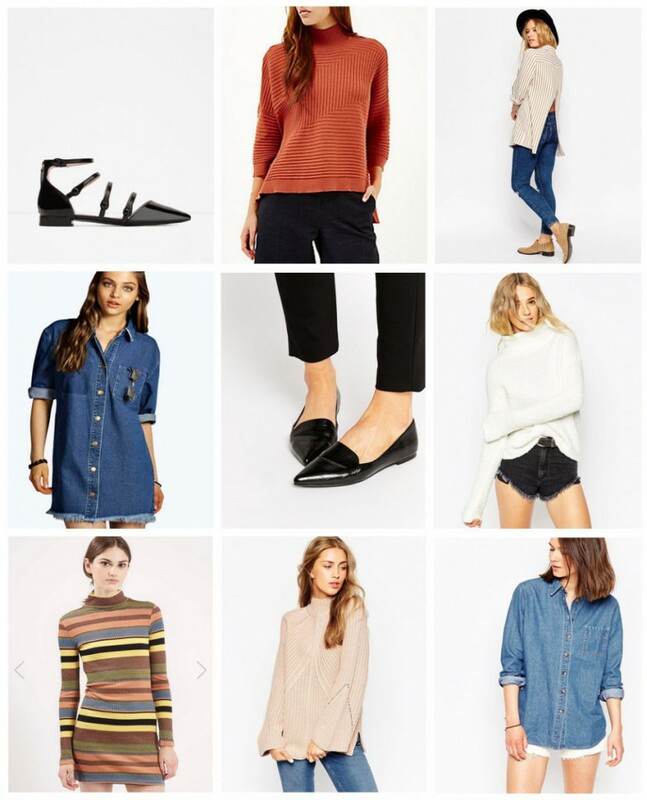 What are your autumn must haves? Do you love wrapping up like me or are you sad to let summer go! ?